The Document Management Group have a vastly experienced team of technical support specialists. If you have a system problem we can provide immediate assistance, professional advice and high quality technical support! With our free diagnostic telephone support service our technical specialists can contact you as a matter of urgency to gain a first-hand appreciation of any issues which you maybe experiencing. Once the nature of your issue or problem has been established by our UK based help-desk, they will suggest the best course of action to arrive at a swift resolution. The Document Management Group remote on-line assistance and support enables you to share your screen with one of our technical specialists and therefore the actual system location is not an issue. The software support team can provide immediate telephone assistance and support utilising the Log-me-in / Team Viewer access (which in most cases, reduces the need for an on-site visit). 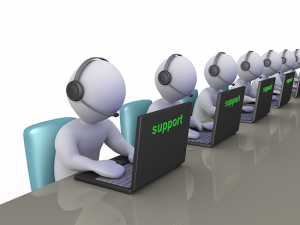 Please contact our software support helpdesk to arrange a support session. The support agent will then advise you which link below to click on to create a support session. If an on-site visit is required to resolve any deep rooted technical issues our specialist technicians can visit your premises and provide a high quality, professional technical support service. This is usually initially discussed and scheduled in with your IT team to ensure that the relevant access to your system regarding security permissions and passwords etc. An annual support contract, which are backed and supported by the system software & development writers, entitle you to, unlimited technical helpdesk support, all future software updates (in the case of FileDirector and Scanfile v8 onward) and on-site technical support where required. A software assurance contract, also ensures that your document management system is always kept up-to date with new system upgrades, new features and usually a faster operational performance. On-site system training or indeed re-training packages can be provided to accommodate various levels of technical competence, from basic system operator right up to system administrator level.